At the start of a new year, we’re inundated with messages about changing ourselves for the better, setting goals, and getting serious about new intentions. While a lot of positive can come from it, it’s something that can also be completely overwhelming. There is so much pressure to be everything all at once — and don’t think that message escapes our children. It trickles down and settles like a puddle of expectation under their little light-up sneakers. Nevermind what happens to the size of that puddle when they’re old enough to graduate to Air Jordans and social media consumption. The pressure to meet expectations (society’s, your parents’, your own) starts at a really young age. From wanting the coolest new toys that everyone else seems to have to wanting desperately to be in a higher reading group at school, kids face more pressure than we tend to acknowledge. It results in big feelings that can be hard for little humans to wrestle with. Award-winning lettering artist Jessica Hische’s new book, Tomorrow I’ll Be Brave, tackles the idea head-on. The book, which is perfect for bedtime reading, features a bunny and a cat setting intentions and exploring the possibilities of the day ahead while leaving room for self-forgiveness if they don’t quite measure up to their expectations. Written in rhythmic, rhyming verse, the book drives home the point that tomorrow is a new day and it’s okay if you’re not everything you want to be today. The first half of each verse features a two-page spread with adjectives the animals are aspiring to be like adventurous, strong, curious, and confident. They’re written in huge, beautiful lettering that connects to the meaning of the word. 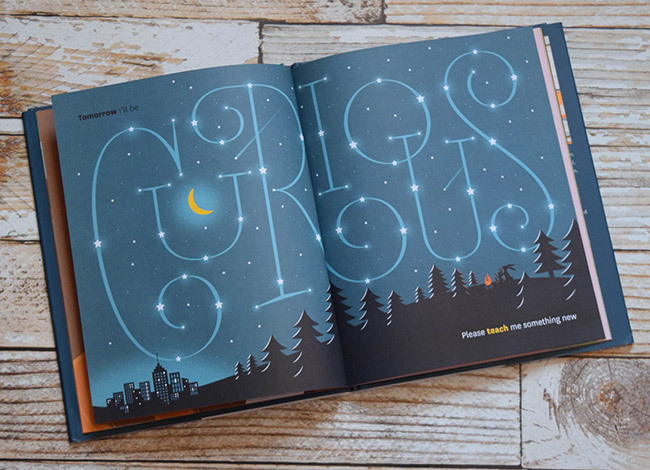 “Curious,” for example, is spelled out by connecting stars while the pair is huddled around a campfire in the forest, staring up at the night sky. “Strong” is spelled out by underground tunnels carved out by ants, with the animal duo running in workout gear aboveground. The second half of the verse spells out things they can do to become the word. 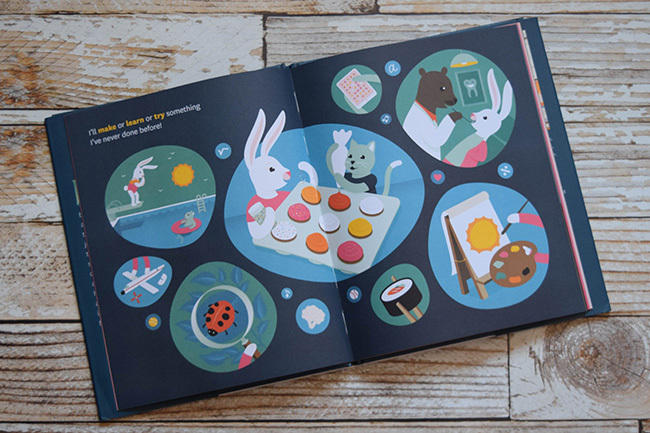 For “adventurous,” the narrator intends to “make or learn or try something I’ve never done before.” The illustrations show the animals diving into the deep end of a swimming pool, painting, going to the dentist, decorating cupcakes, and eating sushi. 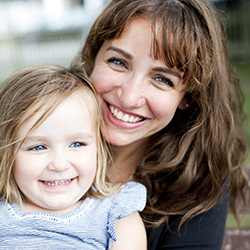 Empowering and reassuring, Tomorrow I’ll Be Brave is a great way to end the day with your kids. It encourages them to grow and stretch and be better while also assuring them that tomorrow is full of opportunities to try again. Inspiring resilience, self-compassion, and ambition, this story will be as uplifting to the grown-ups reading it as it will be for the kids.